Trello is an awesome app for organizing and collaborating. However, it’s also a great tool in your UX kit for doing Modified-Delphi card sorts. Modified-Delphi card sorting is a technique where the first participant does a full card sort of organizing and arranging items. The next participant iterates on the first participant’s sort, then the third participant iterates on the second’s, and so on. The idea is that with each iteration the sort gets more refined with fewer participants and consensus is built sooner. Learn more about the Modified-Delphi card sorting method (PDF slide deck). 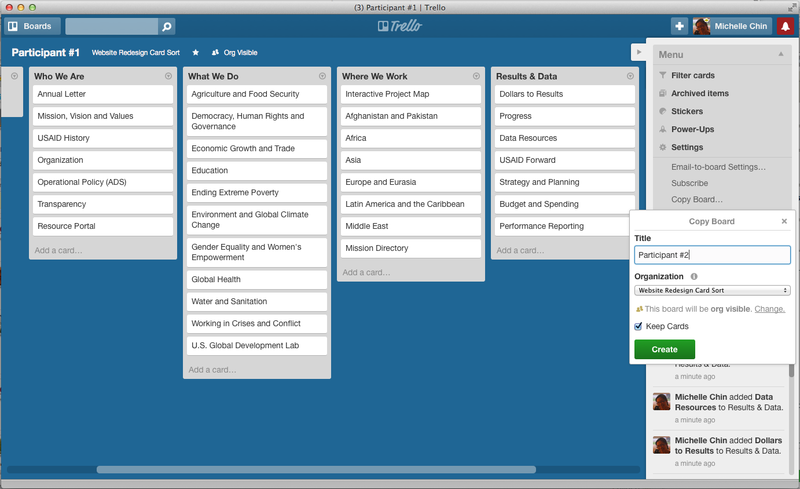 Using Trello for this type of card sorting is beneficial because it’s an easy tool for participants to use – so they can focus more on the actual sort. In addition, you can copy, save, and share each iteration digitally. Have the participants create lists, label them, and move cards to the lists until they see fit. When they’re done, copy the board by going to the sidebar, selecting Menu, then Copy board…. Name this copied board “Participant #2” – make sure you keep it in the same organization and check the box to keep the cards. This creates a duplicate version of the first iteration that the second participant can then modify. Repeat this as needed for your participants. Keep in mind, this isn’t a good tool for traditional card sorts because you can’t compile data easily. This and Modified-Delphi card sorts are great if you have a limited budget, short on time, and only have a few resources. 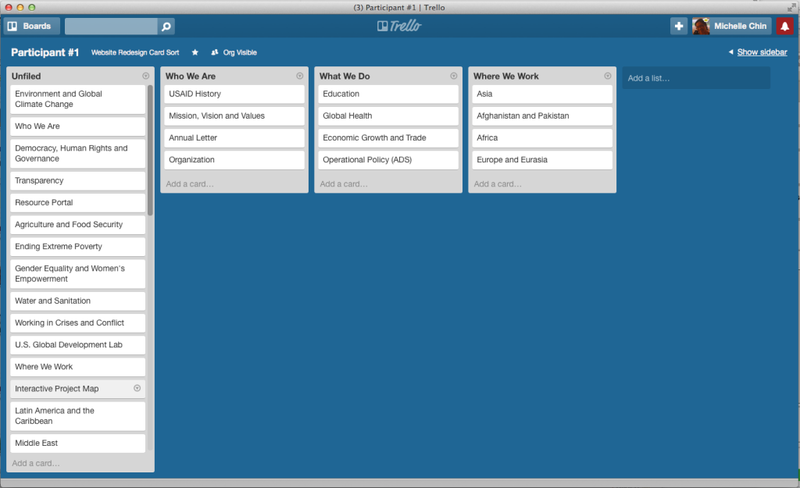 Pro Tip: You can do this remotely by inviting people to your Trello board and Trello has an easy signup process. Let us know if you’ve tried it, how it’s worked out, or if you have other tips or know of other ways to do Modified-Delphi card sorts. 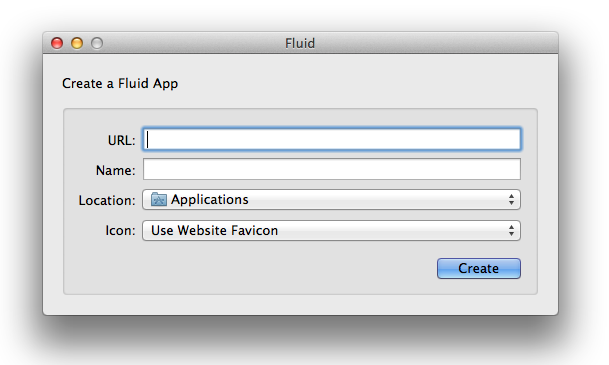 Fluid is a handy app that makes stand-alone, Mac desktop apps from web apps. It’s great because now you can have your favorite apps like Trello, GMail, Github, and Lucidchart as desktop apps rather than tabs that get buried in your browser. It’s free to make as many apps as you want or you can pay $4.99 for a license that provides a few more features (e.g., full-screen mode). I’ve been able to do everything I’ve needed using the free version. To set up an app all you have to do is paste the URL of the app you want to make (e.g., http://www.trello.com) into the Fluid app and it builds your app for you. Do you use Fluid already? Let us know what you’ve turned into apps! Pro tip: When you create an app, have your apps icon ready to add. It’s easier to add it now than changing it later. Icons can be found on their Flickr group or via a Google search. Pro tip: After creating your apps, have them launch when you start the computer. (Directions on how to set that up.) 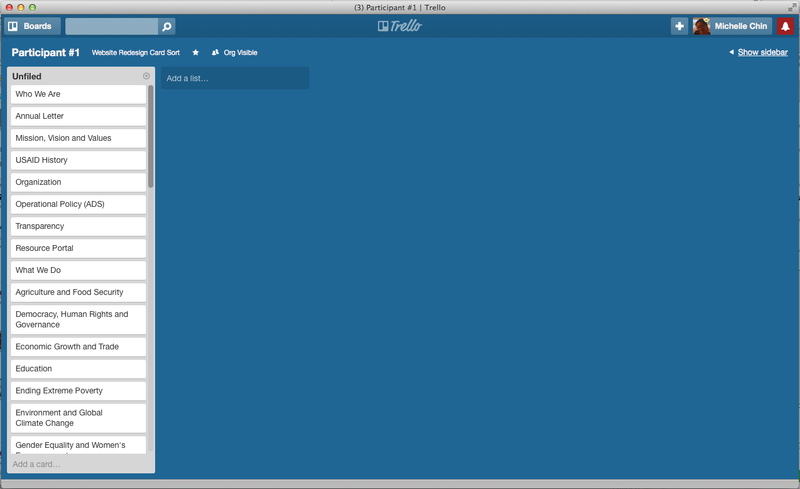 I have my GMail and Trello apps start on launch. Price: Free!, $4.99 for more features.